Had you planned it, it could not have worked out better. As if you could tell 10 Supreme Court Justices what to do and orchestrate the machinations of the Brazilian Supreme Court. 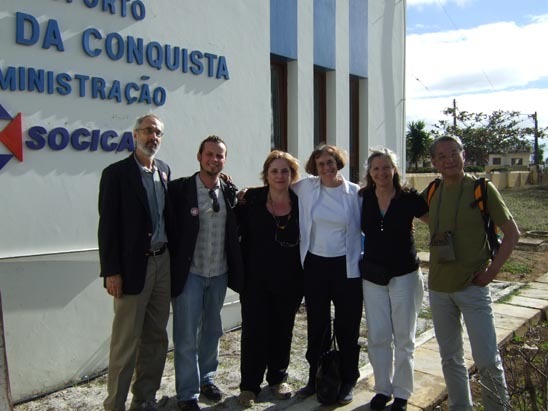 And yet, just a few short days after the country's national court upheld the right of individual states to ban the use of asbestos on health grounds (June 4, 2008), an international meeting took place in Sao Paulo to examine the fallout from Brazil's asbestos past. At the beginning of June 2008, Brazil's Federal Supreme Court reversed a previous decision which had found that state asbestos bans were unconstitutional as they interfered with interstate commerce. This time round, the judges put human life before commercial interest and, invoking the federal constitution's guarantees of health and the dignity of labor, ruled that state laws can supersede weaker federal laws in order to protect citizens. The majority verdict (7:3) upheld Sao Paulo Law no. 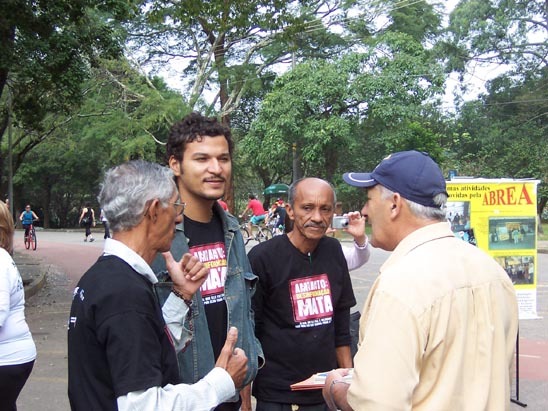 12,684 of 2007 which prohibited the use of asbestos; it came as a shock to Brazilian asbestos stakeholders who were used to the judicial and legislative branches prioritizing corporate needs. Following the decision, the share price of Eternit, Brazil's main asbestos group, plummeted by 30%; just last year, the company had been regarded as a good investment. The judicial outcome was a tremendous victory for public health, the environment and human rights in Brazil. It would not have come about but for the exceptional work of the civil society movement to ban asbestos mounted by ABREA, the national umbrella group of the asbestos-exposed, which was represented during the Court hearing as an Amicus Curiae, a friend of the court. 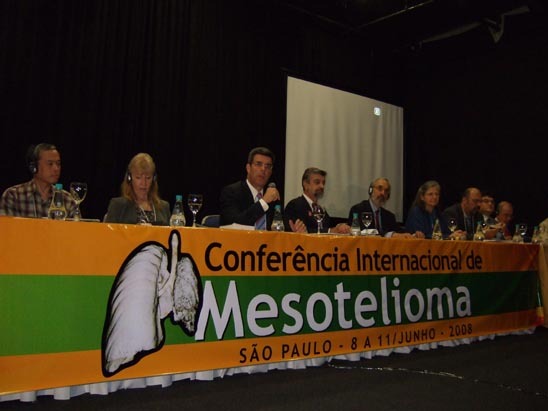 Understandably, the delegates who gathered in Sao Paulo from June 8-11, 2008 for the International Conference on Mesothelioma were in a buoyant mood. 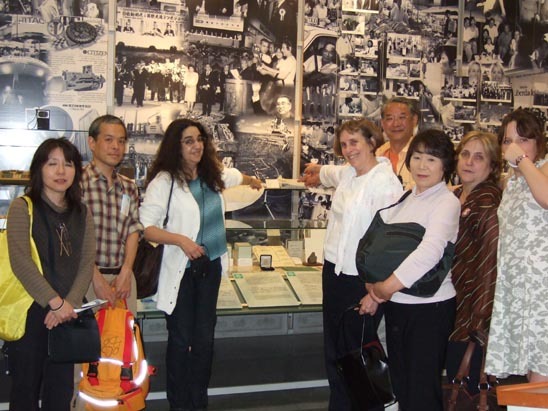 Despite the gravity of the incurable asbestos cancer which was the focus of this event, the realisation that an asbestos ban would reduce the ranks of those suffering from this illness suffused the sessions with a sense of optimism. Delegates, who felt that they were witnessing history being made, expressed the opinion that the timing of this gathering so soon after the Court ruling made the event something very special. 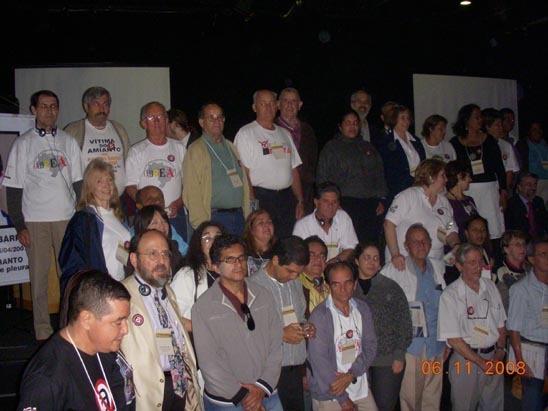 The participation of so many establishment groups and bodies from every strata of Brazilian public and professional life marked a coming-of-age of the national ban asbestos movement. In 2000, the campaign by asbestos victims had most definitely existed only on the very furthest reaches of the radical fringes; by 2008, it had definitely become mainstream. It is hoped that a full report on this amazing conference will be prepared in due course; this depends on whether an English transcript of the sessions is made available. As we await news of this decision, I leave you with some photos illustrating both the main event and other associated activities which took place. 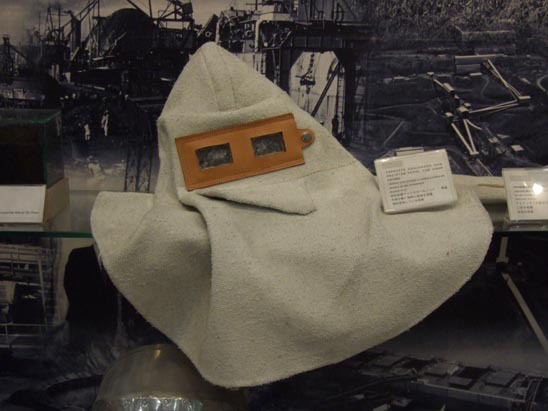 Asbestos fireproof hood on display in Museum of Japanese immigration. 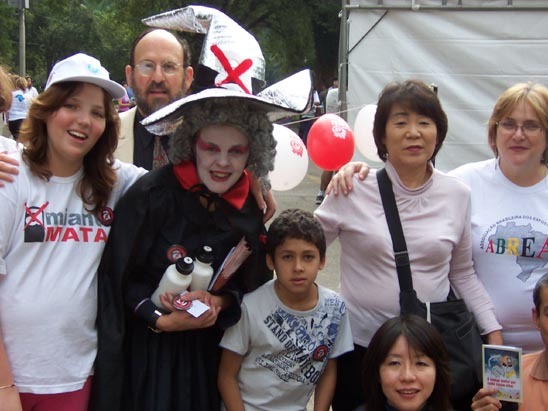 ABREA Outreach Program "Amianto Mata" in Ibirapuera Park, Sao Paulo  "Chrysotile Witch" with ABREA supporters and international guests. ABREA members meet the public. 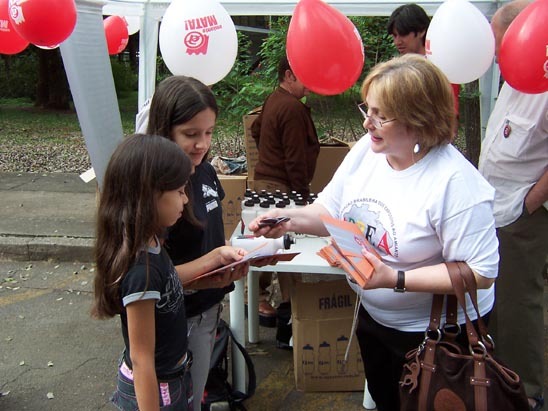 Fernanda Giannasi, ABREA founding member, gives anti-asbestos buttons to children. 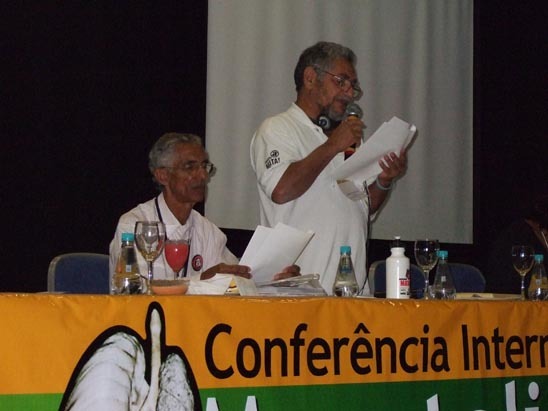 Eliezer Jo�o de Souza, ABREA president. Delegates pictured following the final session. International delegation arrive in Vitoria da Conquista for asbestos workshop and road trip to abandoned mine. 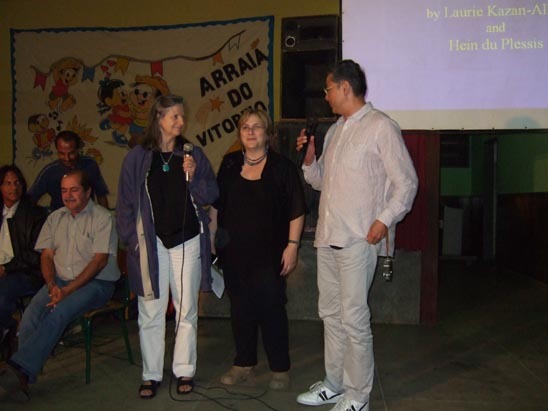 Asbestos workshop in Bom Jesus da Serra, Bahia  Annie Thebaud-Mony, Sugio Furuya and Fernanda Giannasi. 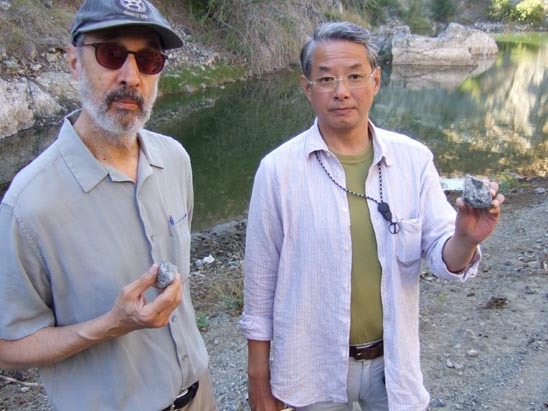 Finding asbestos everywhere at abandoned mine  Sugio Furuya and Barry Castleman. 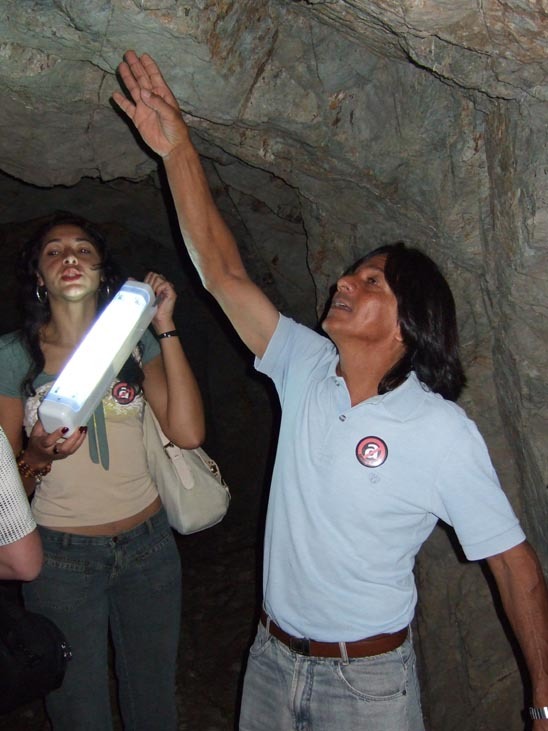 Esmeraldo dos Santos, local activist, pointing to asbestos seam in rock. 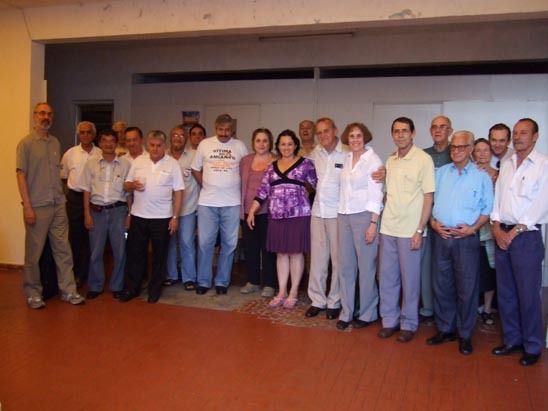 Group photograph at end of the Saturday, ABREA session in Osasco, Sao Paulo.